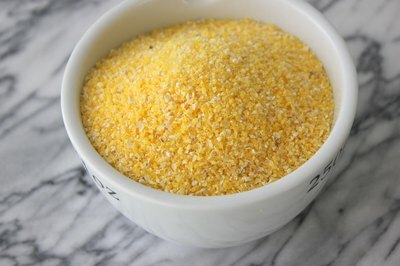 Corn meal can be a cheap and easy side dish or breakfast cereal. Many people use corn meal as an ingredient, but you can cook it with water to make corn meal mush. 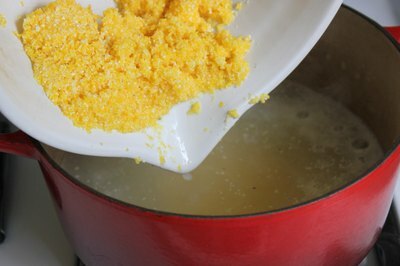 A little bit of corn meal will go a long way, because 1 cup of dried corn meal will yield about 4 cups of cooked corn meal. 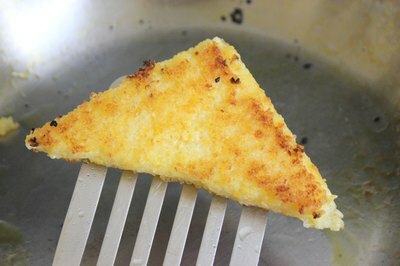 After you have cooked your corn meal once, you can use leftovers to make fried corn meal patties. Instructions for both are below, and more corn meal cooking ideas can be found in the resource section. 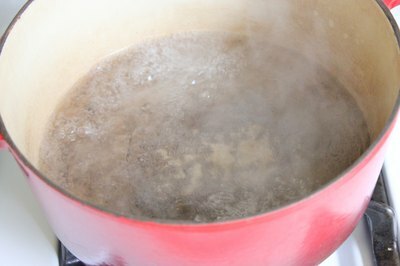 Boil 3 cups water in a saucepan over high heat. Whisk together the remaining 1 cup water, 1 teaspoon salt, and 1 cup corn meal in a bowl. Stir the corn meal mixture into the boiling water. Lower the temperature to a simmer and cover. 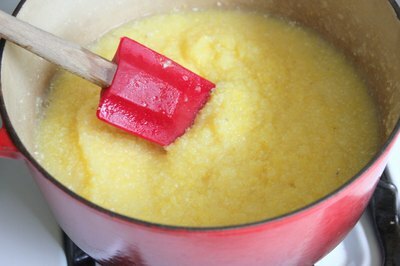 Cook the corn meal mush for 15 minutes, stirring every few minutes. It is ready when all the water has been absorbed. Serve the corn meal as a breakfast cereal or as a side dish instead of mashed potatoes or rice. Prepare corn meal mush as directed in section 1. 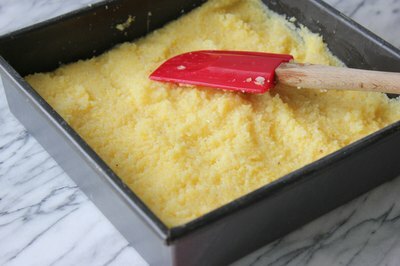 Pour the corn meal mush into an 8-inch-square cake pan or into a 9-inch-x-4-inch loaf pan and refrigerate overnight or until firm. 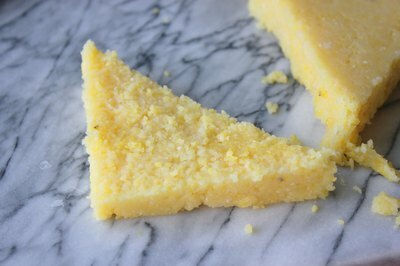 Cut slices from the corn meal as thick as desired. Heat 2 tablespoons oil in a skillet, and fry each slice of corn meal on both sides until browned. Serve the corn meal as a side dish instead of fried potato patties, or cut it into large slices and serve at breakfast with butter and syrup instead of pancakes. 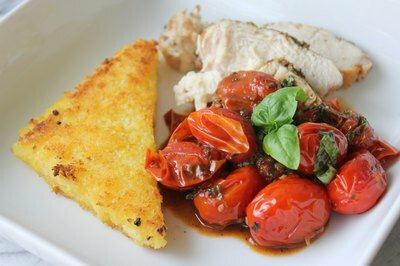 How Do I Make Pomegranate Balsamic Vinegar?